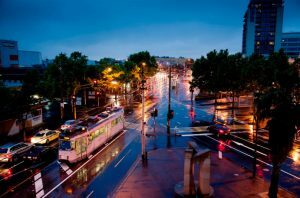 Moonee Ponds 3039 is one of the most dynamic and diverse commercial areas in Melbourne. Our Precinct stretches from Mt Alexander Road to Holmes Road, Moonee Ponds Central to Gladstone Street, and all the streets in between. No matter if it’s finding a fashion statement, having your pet groomed, getting new tyres for the car, or settling in for an eating experience you’ll never forget – Moonee Ponds 3039 offers everything you’re looking for..
From our earliest beginnings with the first Wurundjeri people, to early pastoral settlements, and later home of Barry Humphries fond memories; Moonee Ponds 3039, has evolved into to the progressive community we see today. We are very proud the many historic buildings, which give our Precinct its character, have been maintained and updated. The landmark, Clock Tower links us to our heritage and is now the heart of the very strong arts culture here in Moonee Ponds. Combining the old with the new, Puckle Street, named for the first Vicar of Moonee Ponds, Mr. Puckle, has always been one of Melbourne’s most beloved byways. Crowned by ‘the junction’, Puckle St. has been able to preserve its quaint federation façades, and yet be home to the latest styles and trends as it keeps moving forwards. Moonee Ponds Precinct has expanded to grow into one of the most vibrant suburban centres. We welcome the huge number of visitors who come to enjoy our Precinct, and encourage the many new businesses taking advantage of the exciting opportunities available. We look forward to seeing the new developments over the coming years. 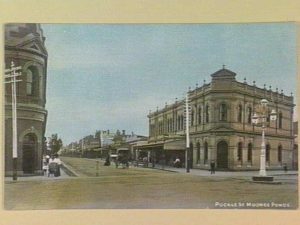 The Moonee Ponds Traders Association represents the traders and businesses of the Moonee Ponds Precinct who contribute to a special rate levy administered by Moonee Valley City Council. The Association is run by the trader’s committee, including 15 committee members, and it acts on behalf of traders to make key decisions relating to marketing and promoting the precinct.